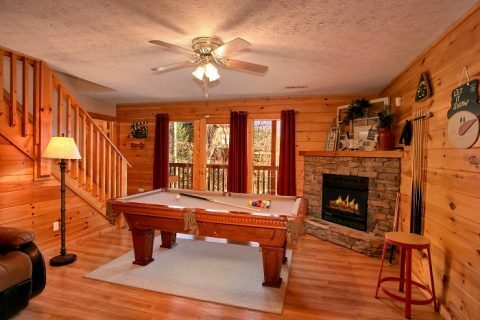 Experience a Gatlinburg cabin vacation at this beautiful rental with a pool only 8 minutes from Downtown Gatlinburg! 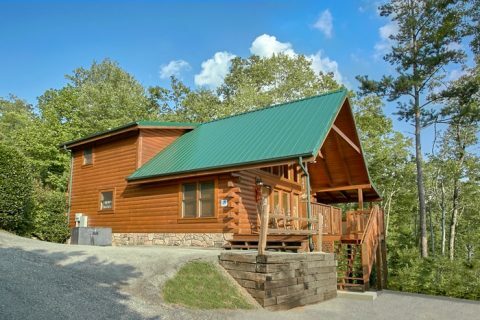 "A Grand Getaway" is a luxury resort cabin located in Black Bear Falls Resort. 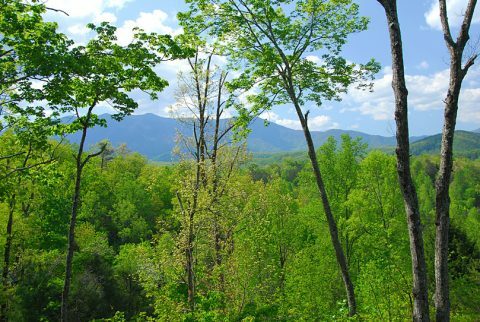 From this gorgeous area in the mountains near town, guests can stay close to all the sights and attractions that make the Smokies so special. 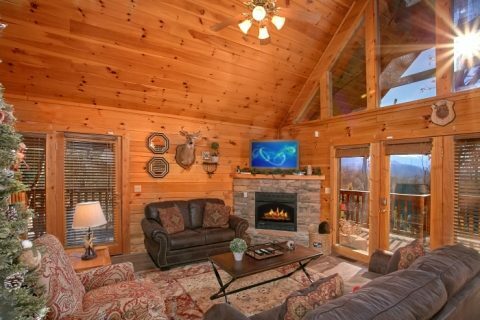 In addition to resort swimming pool access, this premium cabin rental offers beautiful mountain views, a theater room, game room, hot tub, and more! 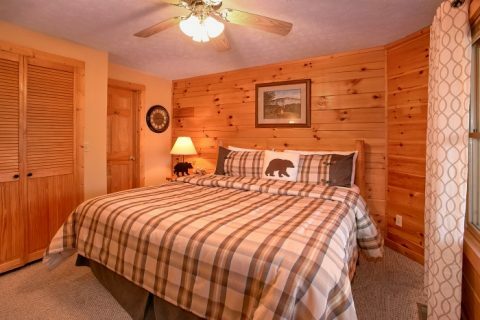 Start your first full day of vacation by waking from a great night's sleep in one of your cabin's 3 king bedrooms. 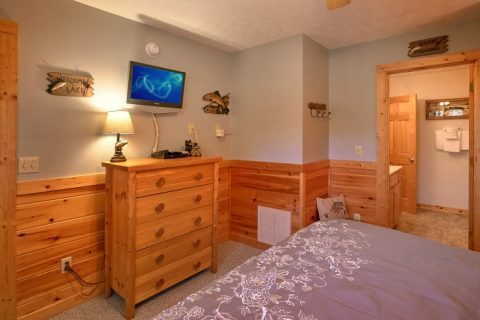 Complete with a television and full bath, each of these rooms offer guests enough space to get ready for their first day of exploring Gatlinburg and the Smoky Mountains. 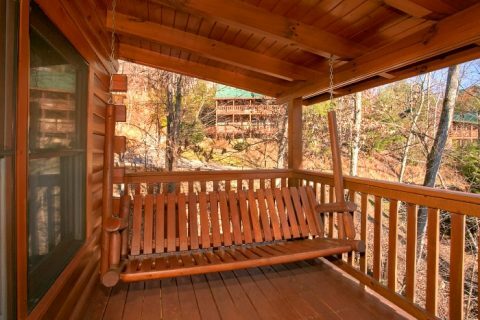 For sleeping extra guests, this cabin also has a futon and sleeper sofa. 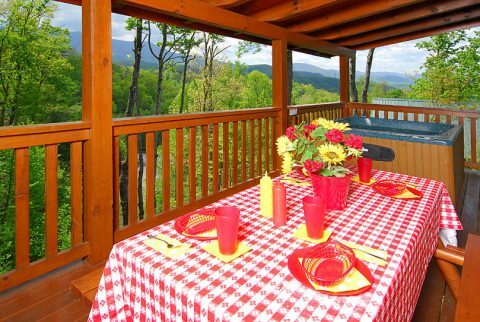 Enjoy a hearty breakfast with friends and family on your cabin's covered deck with a picnic table while you make plans for your day. 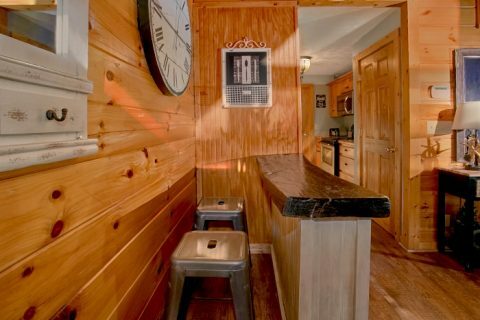 This premium rental comes complete with wireless Internet access so you can easily research what attractions you want to see. Will you visit playful penguins at Ripley's Aquarium? 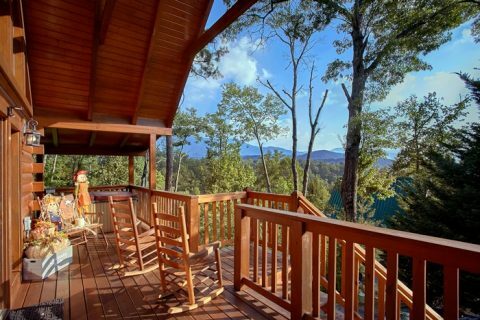 See panoramic views from the Gatlinburg Space Needle? Find an invigorating hike in the Great Smoky Mountains National Park? 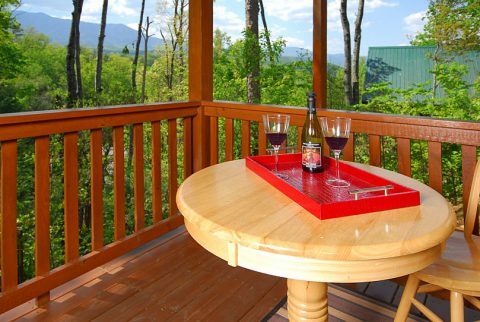 Or maybe just take your vacation time seriously and do nothing except relaxing just the way you like! 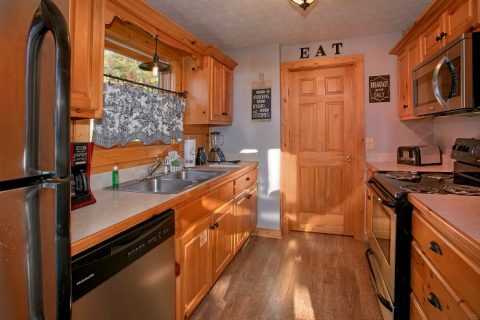 Guests won't have to travel far to find fun and relaxation. Take a trip down to the resort pool to splash and play in the summer sun. 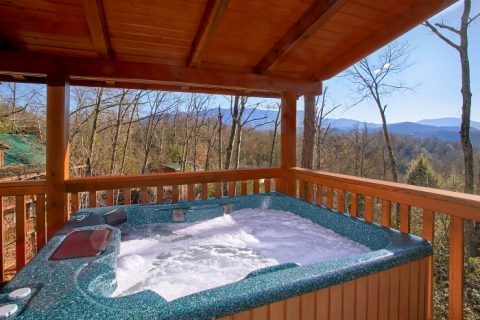 Enjoy a relaxing dip in the hot tub on your cabin's deck surrounded by nature. 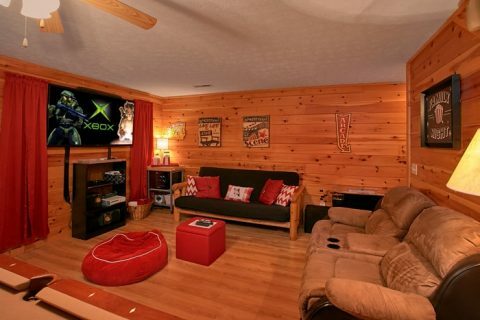 Watch your favorite film in the theater room with a 65" television and surround sound complete with a popcorn machine. 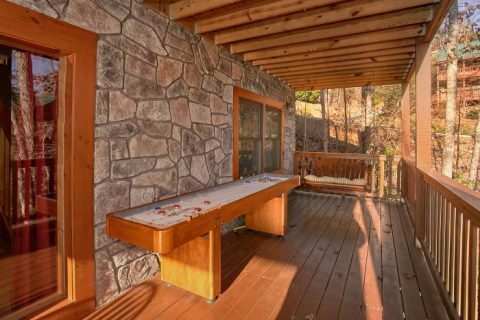 Have some friendly competition by playing a round of billiards or classic arcade games. 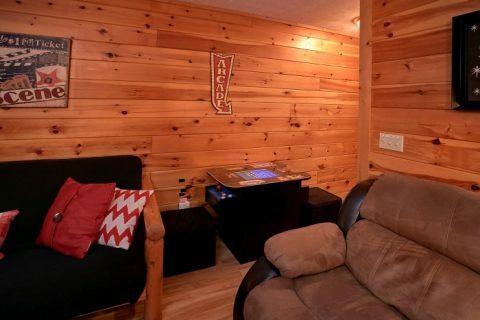 For even more fun, this cabin boasts an Xbox 360, board games, and a shuffleboard on the lower deck. 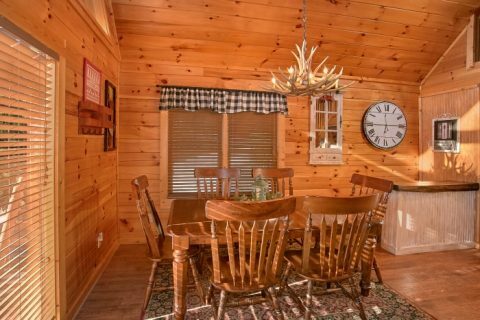 To finish up a perfect day in the mountains, enjoy a delicious meal made in your cabin's full kitchen and BBQ grill with your family. 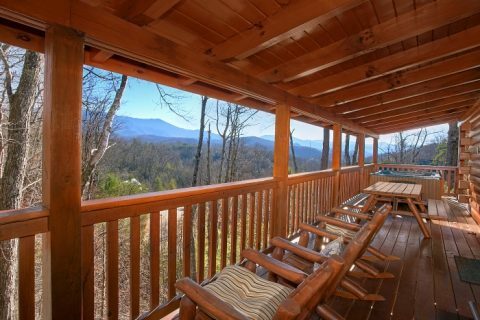 Then, watch the sun set from your cabin's deck as another awesome day in Gatlinburg comes to a close. 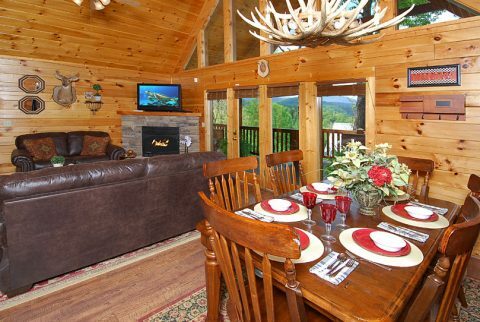 Experience a fantastic trip with family and friends at a luxury cabin you won't soon forget! Simply book "A Grand Getaway" online with Cabins USA Gatlinburg today to earn a 15% discount on your stay!